The Miso Moment: Manga or Anime? - miso! The Miso Moment: Manga or Anime? While anime series can originate from light novels and games as a derivative work or be a completely original work, the largest percentage comes from using the manga as source material. The amount of anime that exists is already considered to be vast, but that figure needs to be at least quadrupled to represent the amount of published manga. Manga is as accessible as anime is, with each having their own translation groups. There are a large number of similarities and relationships between the two. Even so, manga and anime can be considered two different mediums despite the fact that some people will say that they’re the same. There are manga readers who only read manga and do not watch anime, and there are anime watchers who do not read manga. Of course, those who both watch and read are the most common in this community. This question has been debated endlessly over time: which one is better? To start off with the advantages of manga, there is the deeper storyline. Manga is not constricted to one-cour like anime is, and it can go in depth with its story however it wants. 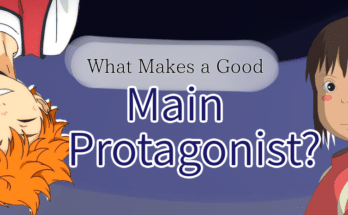 Along with the storyline, character development can be more heavily focused on in manga. Anime can overlook improving the story and characters for the sake of presenting a whole arc first. The plot is often more complex than what the anime adaptation may include. Most noticeably, something unique about manga is the artwork. Every mangaka has their own individual art style that stands out in the manga they draw. The art is detailed, careful, and expressive. While anime adaptations try to replicate the original style, the original feeling of the artwork is lost. 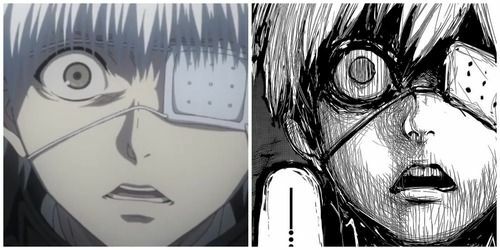 The adaptation of Tokyo Ghoul, especially the second season, is often bashed for not being faithful to the original manga. Countless series have been trashed by fans of the original manga, and a famous example would be the anime movie Akira. The movie had tried to implement the whole manga, which was impossible with 2 hours given the length of the original source. The product ended up known to be artistic and bizarre and viewers became separated with either loving it immensely or disliking it. Hajimete no Gal, which aired during the Summer 2017 season, was considered a trashy show. Fans that read the manga agreed that it was of poor quality and that the manga was infinitely better as the anime had skipped a lot of character and relationship developments. But anime has its perks as well. When an anime adapts a manga, it has several directions it can take–such as replicating the manga or changing the original plot around. Since anime is in color and has voice actors, the story literally comes to life when characters are able to move or speak. Another advantage of anime is the soundtracks. The right music at the right scene with the right timing can do so much for the overall story and the connection that the viewer feels. The soundtrack also directs the mood and anime that makes really good use of their music include Kekkai Sensen & BEYOND or ACCA: 13-ku Kansatsu-ka. Something else anime does well is the fluidity of everything. With manga, what is actually occurring can be confusing at times, particularly action scenes, and good animation can make the action so much more impressive. Attack on Titan’s action scenes have superb animation with unique camera angles that add to the anime. Though “the manga was better than the anime” is a common statement, there are cases where the anime is just as good or better than its source material. The adaptation of Erased took a different route from the manga as the last few episodes aired, and it was not received with hate. Kyoto Animation’s movie adaptation of A Silent Voice was also on a level that was comparable to the manga. 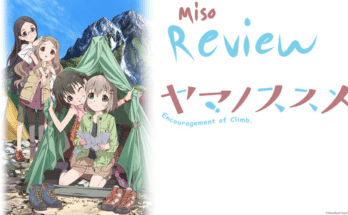 While the manga did go more in-depth with the storyline and is preferable to some, the skillful directing of the anime led the movie to be highly praised. The answer to whether anime or manga is better than the other is not a universal truth; it will always depend on the person. For those who want to appreciate storytelling and artwork as a combined art, manga is preferred. 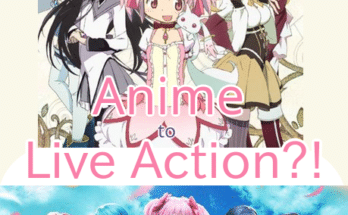 For those who want to see characters with voices and movements, anime is preferred. Since tastes differ from one person to the next, one will never be better than the other, especially with new series coming out so often. Both are mediums that have their own highlights as they create an ever-expanding community today.